While antivirus software will help keep your computer’s data safe, a Virtual Private Network (or VPN for short) will keep your Internet traffic secure. With so much sensitive information constantly being exchanged, protecting yourself from hackers and snoopers is a must, whether you’re running a Microsoft, Mac or another system. A VPN will not only help protect your information from snoopers, such as the NSA, it will also allow you to access geo-restricted content such as Netflix. On top of all of this, even you use streaming services, such as Twitch, it will make it impossible for viewers to track you. No VPN service was created equal, so it is important to properly research each provider to see which one fits your specific needs. Luckily for you, we have compiled a list of our picks for the best VPN services to choose from. Keep scrolling to find out! ExpressVPN is the number one VPN provider with a user-friendly interface and abundance of extra features. ExpressVPN customers are able to choose from a whopping 78 countries, with Hong Kong and Taiwan locations being great news for residents of China under the Great Firewall. ExpressVPN has software available for Mac and Windows operating systems, as well as an app for iOS and Android users. Not entirely convinced? Take advantage of ExpressVPN’s risk-free 30-day money back guarantee and try out their award-winning service for yourself! Buffered is a Hungarian VPN that takes privacy extremely seriously. With no activity logs retained, you can enjoy the comfort of an anonymous experience on the Internet. Buffered has servers in 33 countries, while an impressive “port discovery” tool allows you to bypass firewalls and restrictions on a network. Due to being based in Hungary, Buffered doesn’t fall under the jurisdiction of any NSA or other shadowy government programs. With a 30 day money back guarantee (some conditions do apply), Buffered is certainly worth a look! BolehVPN is a fantastic choice if you value security and encryption over anything else. Support for VPN over Tor, “xCloak” servers (extra fortified servers), and a strict no logs policy all help BolehVPN stand out from the rest. The one downside to their service is that it does have a slight learning curve, which is something to consider if you are a newcomer to VPNs. With BolehVPN’s aforementioned security features coupled with being based in Malaysia (no logs! ), you can rest easy knowing your privacy is protected. 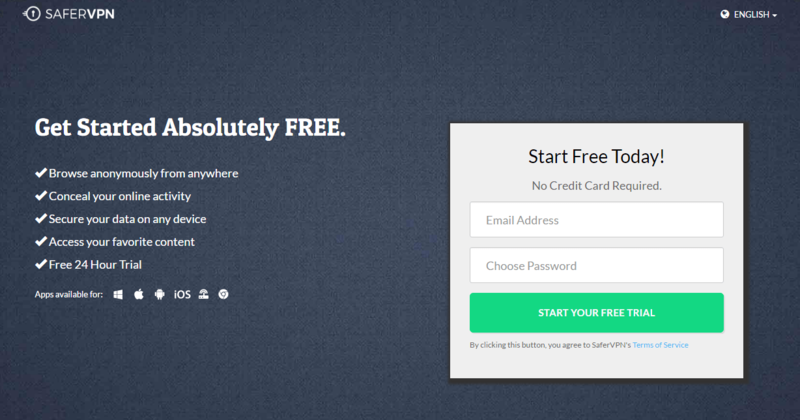 Check out BolehVPN’s one-day free trial and see for yourself! 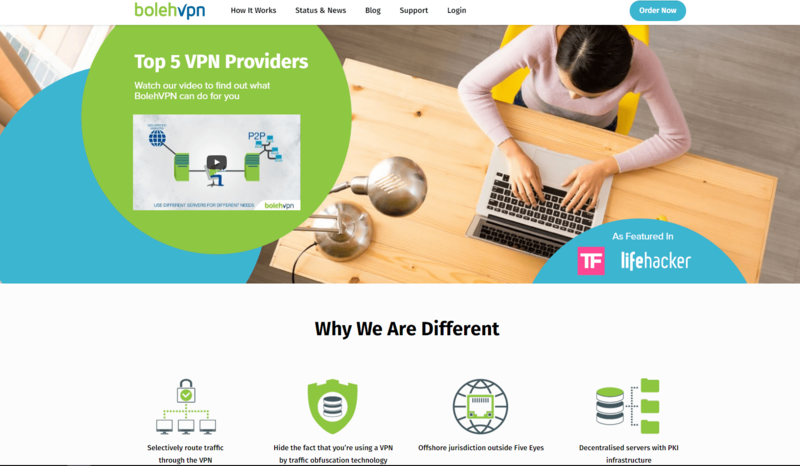 SaferVPN is an Israeli-based VPN provider who stands out from the rest with support for the IKEv2 VPN protocol. This technology allows greater compatibility with Blackberry and Windows Phone users, a niche that tends to be ignored by other VPN providers. SaferVPN also runs 24/7 customer support, accepts Bitcoin payments, and runs a 24 hour free trial in addition to their 14-day money back guarantee. Unfortunately, SaferVPN does keep connection logs which raises a red flag to those looking for complete anonymity on the Internet. Regardless, they are a solid pick for streaming or general web browsing. Give them a try using the link below. VPNArea is a Bulgarian based provider who doesn’t keep any logs and allows up to five simultaneous connections to their service. VPNArea also has a terrific desktop client with a kill switch and automatic IP changer included. While a relatively high monthly price might be a turnoff for those looking for a budget-friendly VPN service, VPNArea is still a great option if you are looking for a reliable VPN with a powerful desktop client. Check out VPNArea’s 7-day money back guarantee and see if their service is right for you! The VPN providers we have mentioned here are all excellent choices from a relatively crowded industry. While some VPNs may be plagued with low levels of customer support, encryption, or speeds, the VPNs we have mentioned above are industry-leading services that have proven their worth. Do you use a VPN? Let us know in the comments section below.